The first time I made this homemade Kool-Aid play dough I didn’t know I had to cook it and I was disappointed when I found out. I went ahead and made it anyway and it truned out amazingly and I was so glad I did! It is so soft and pliable and lasts a few weeks in a zip lock bag in the fridge. Mix together the flour, salt and Kool-Aid. Gradually add water to the dry mixture and stir with a spoon. 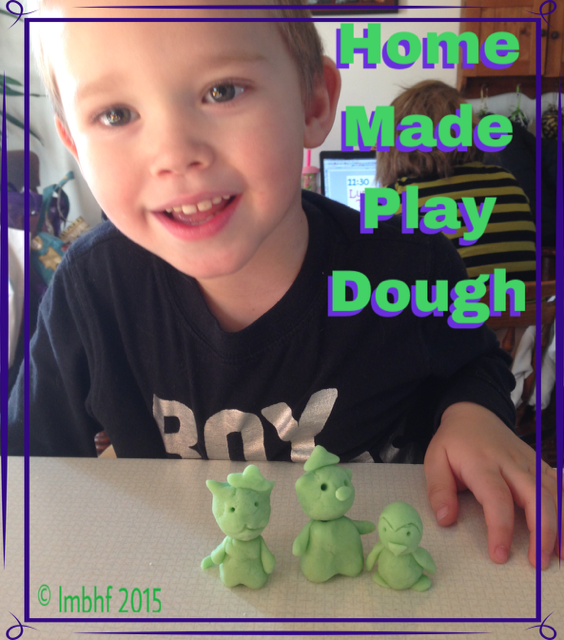 Continue adding water until the dough is well blended and the consistency of play dough. Store in a zip lock baggie in the fridge for up to 2-3 weeks. « Free Downloadable Haunted House Printable!